This is an incredible, rare chance, to learn first-hand from one of the best professional humor coaches and professional speakers on the planet. (Don’t miss this opportunity to see Tim while he’s in Australia). The secrets Tim will be sharing about how to tailor a funnier presentation every time, are a priceless, essential component to helping you create presentations that keep audiences of any size spellbound. Tim Gard’s Official Shop Announces it’s Grand Opening! Keep the fun going in your life with Tim’s unique inventions and one of kind good humor tools! 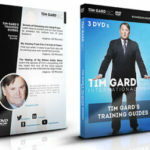 Announcing Tim Gard Training Guide DVDs! Tim Gard’s Training Guides aid organizations and professionals to use good humor so they may ‘burn bright, and not burn out”! Available singly, or in the full set of 3! Keeping Up With Tim’s Press Announcements! 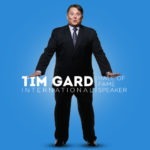 Being an International motivational keynote speaker and expert on correctly using humor in the workplace, Tim Gard, CSP, CPAE is always up to something new and interesting! Keep an eye on Tim’s press announcements to stay current with his adventures, business developments, programs and new products available in his online shop.